William Holman Hunt's "The Light of the World"
The Hogsmill River in Surrey is one of the tributaries of the River Thames. 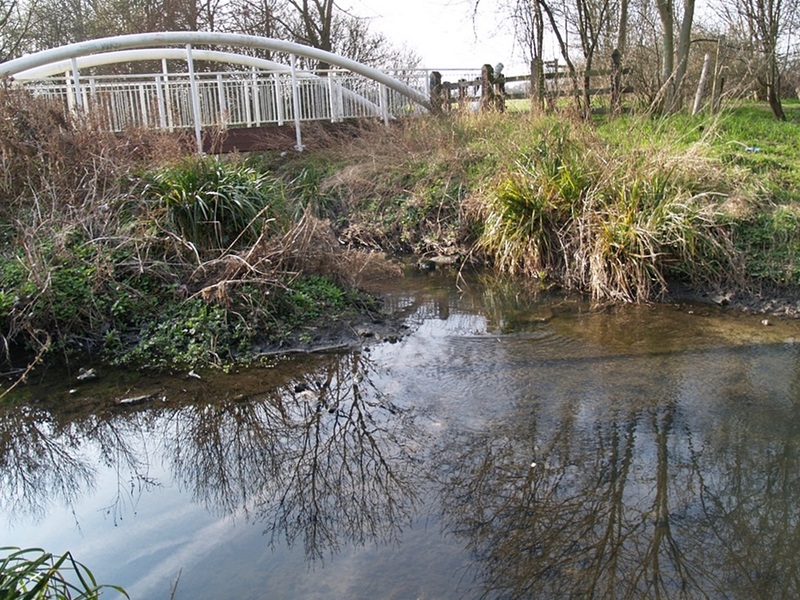 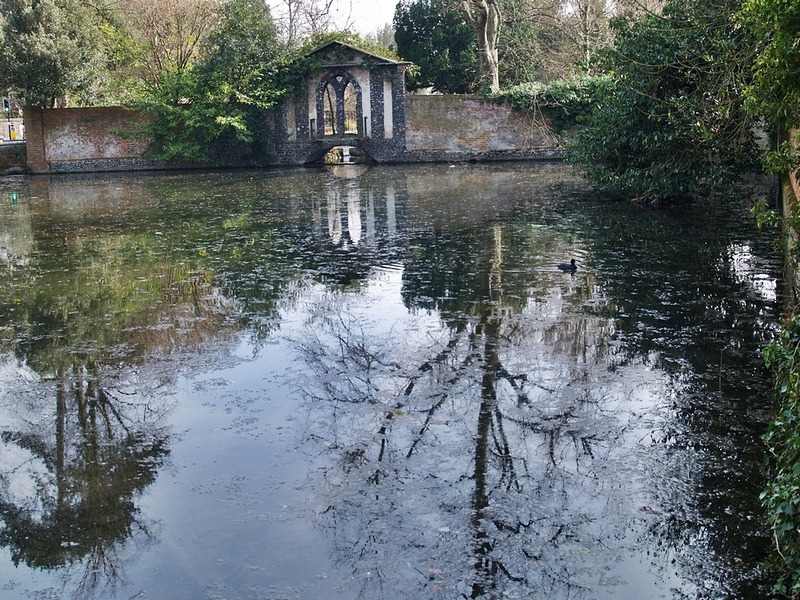 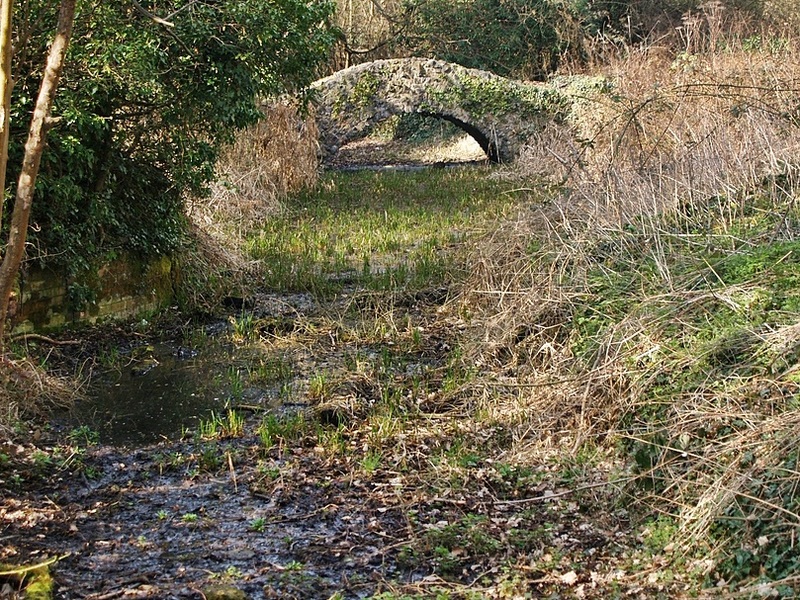 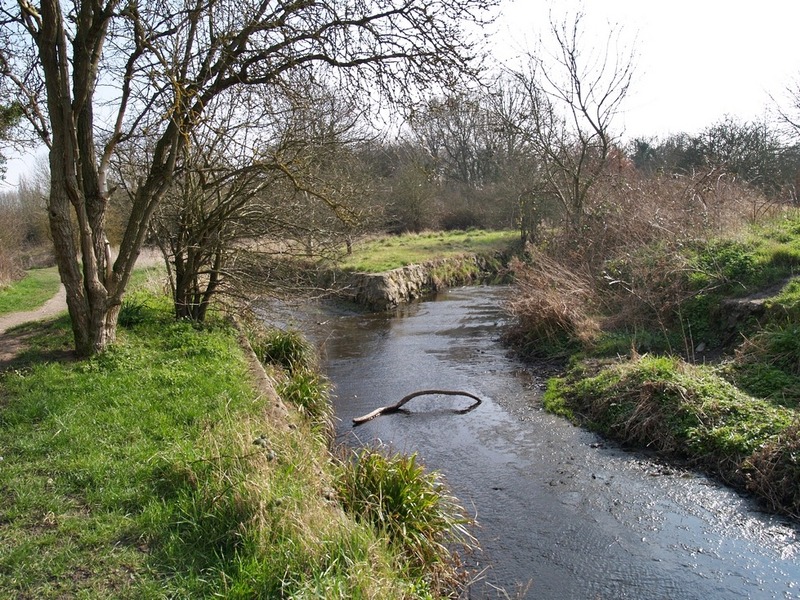 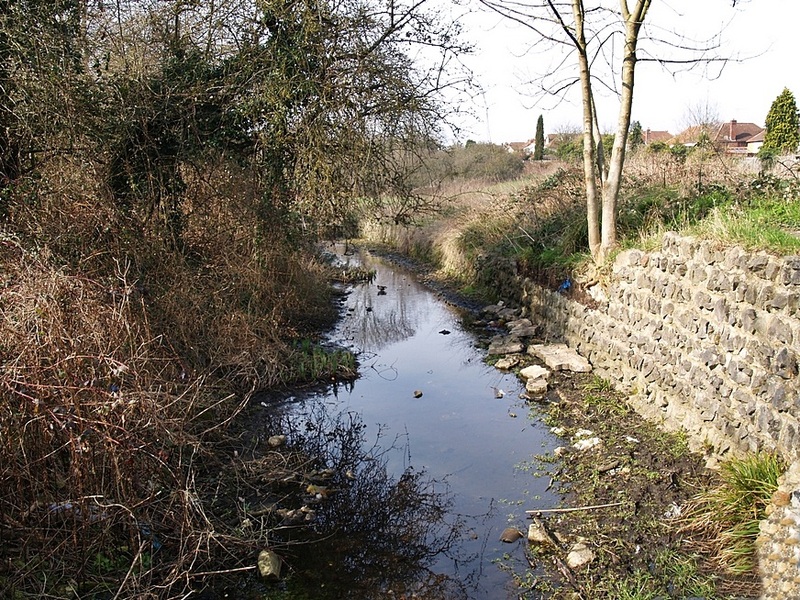 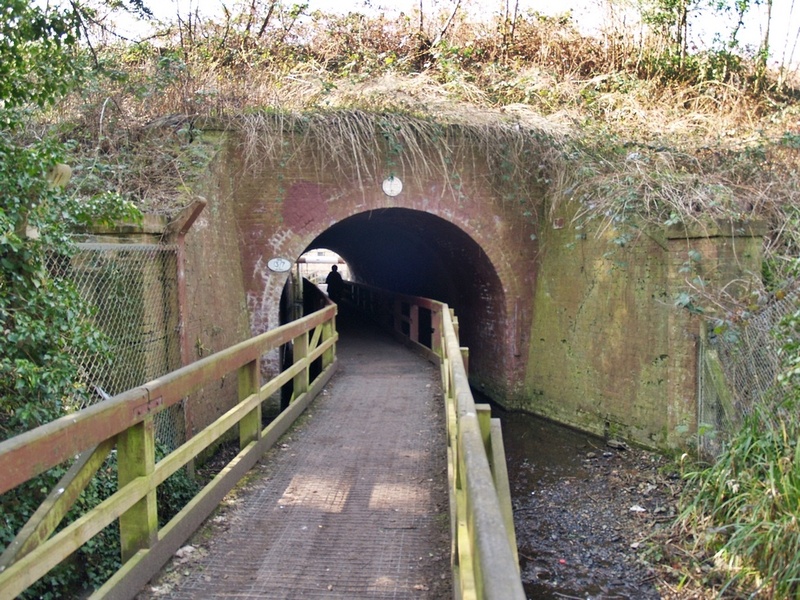 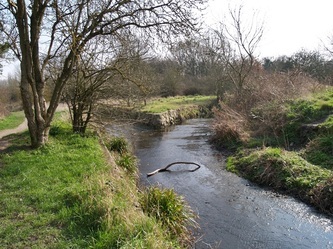 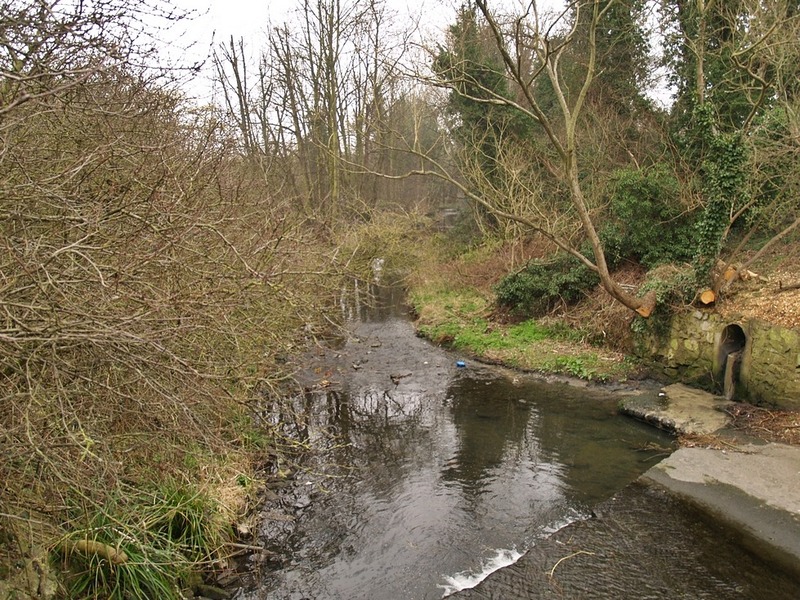 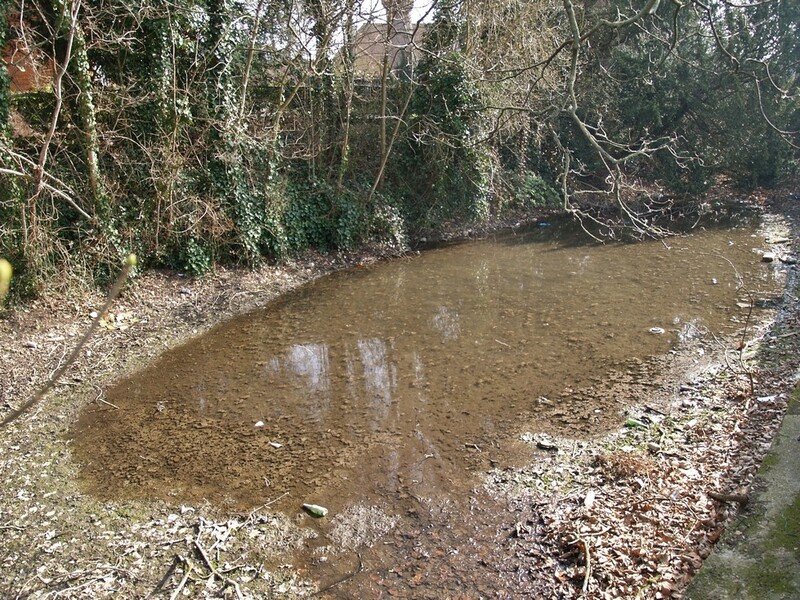 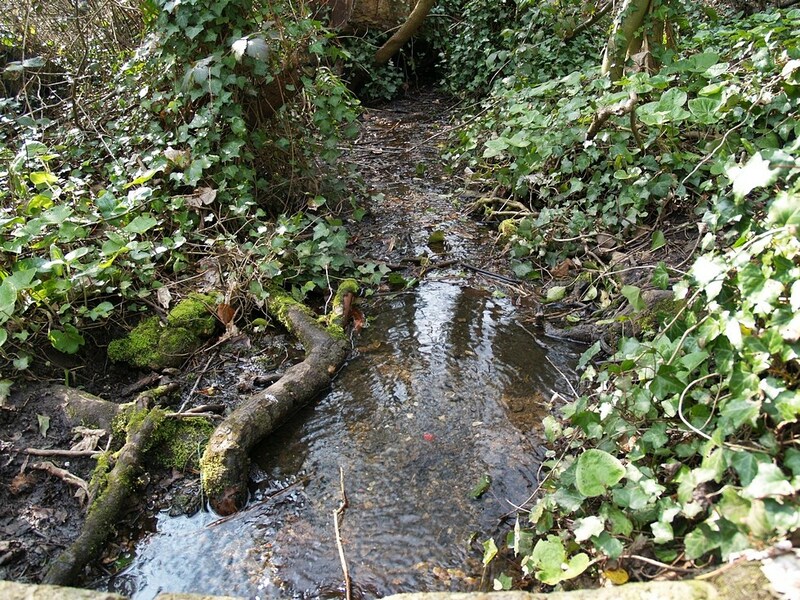 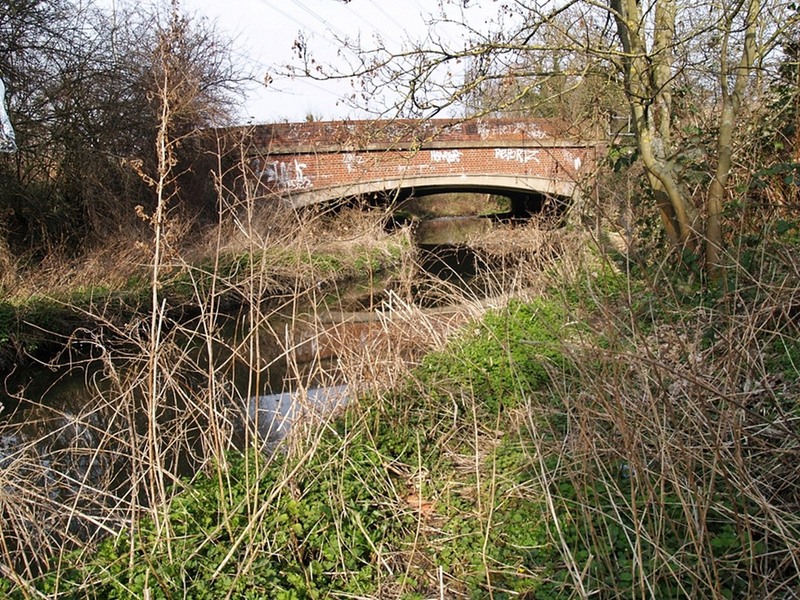 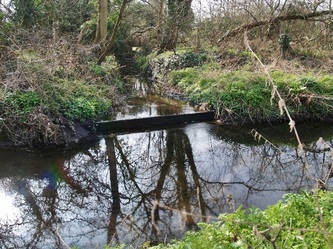 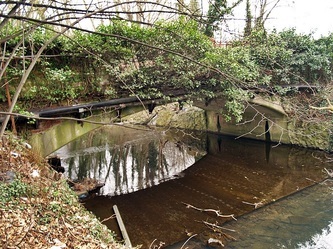 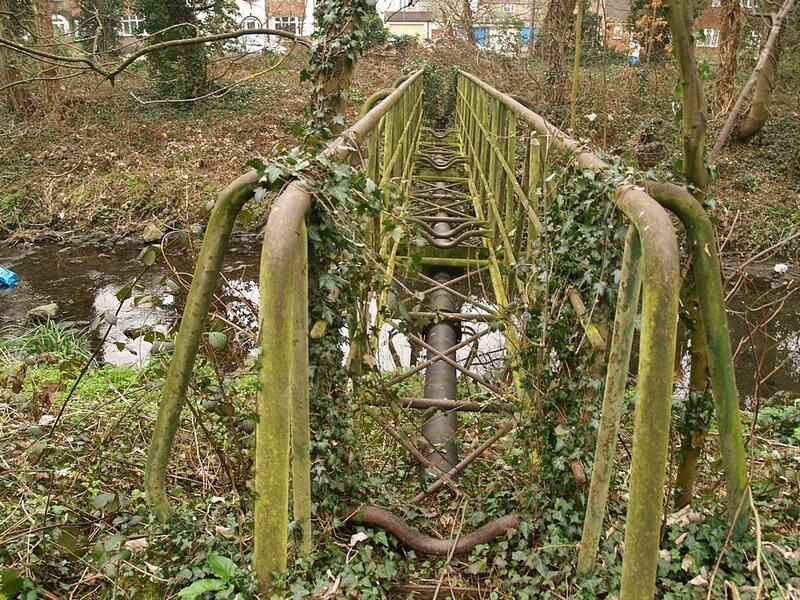 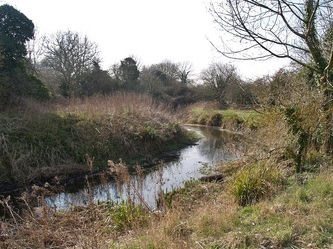 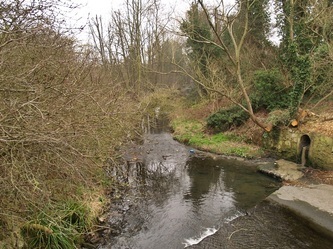 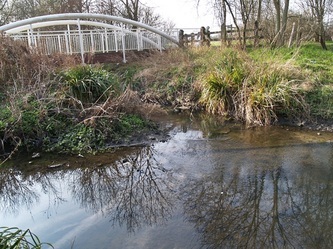 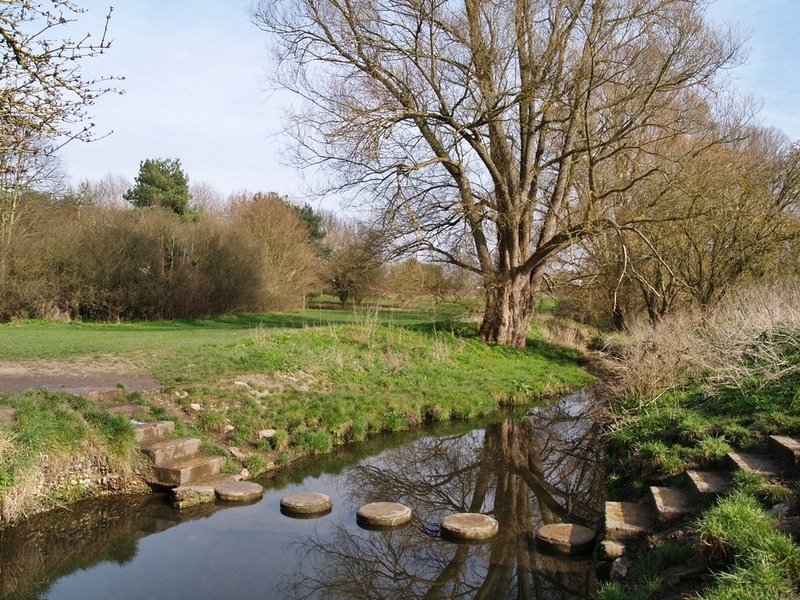 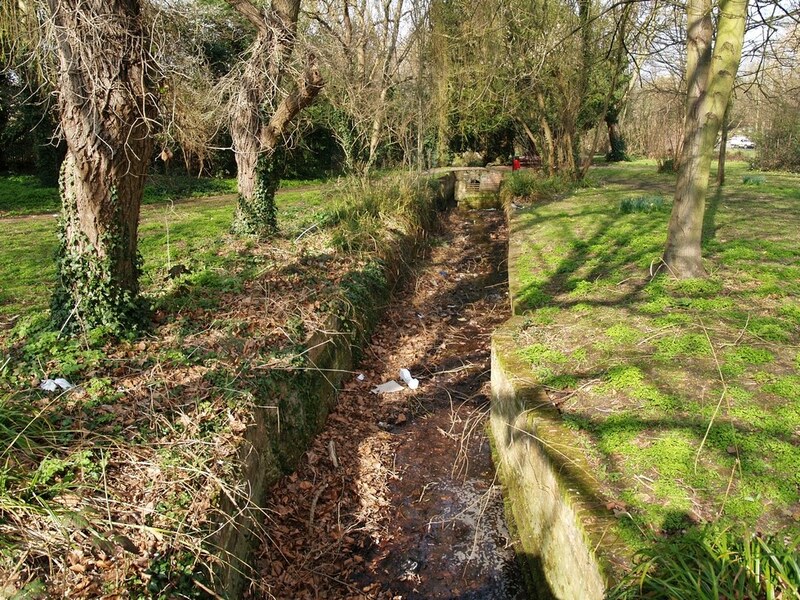 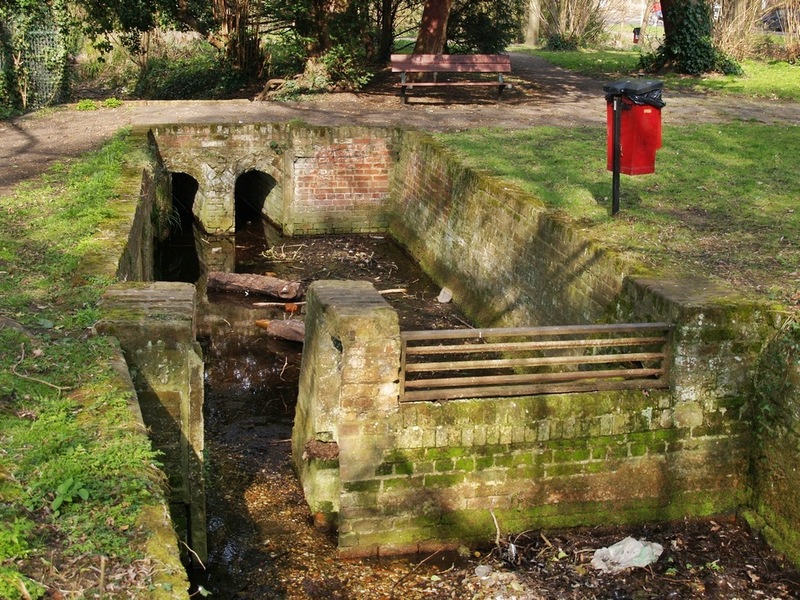 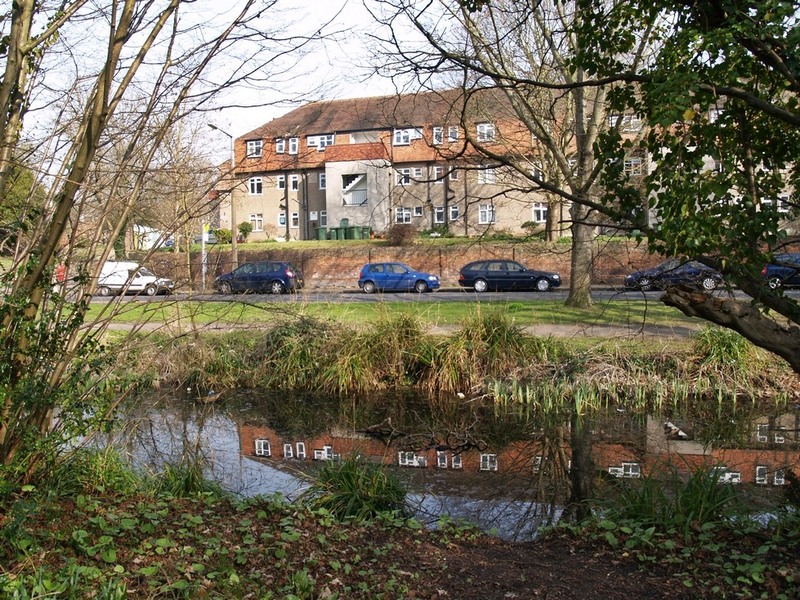 The Hogsmill's source is a chalk spring in Ewell in Surrey. 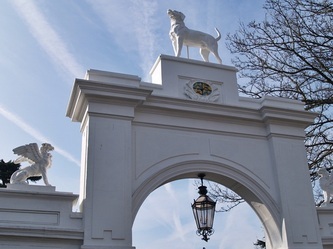 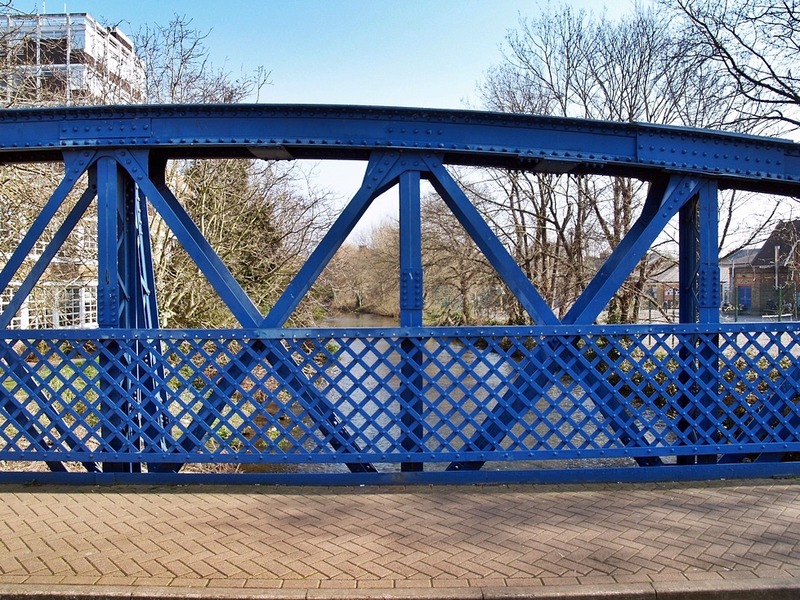 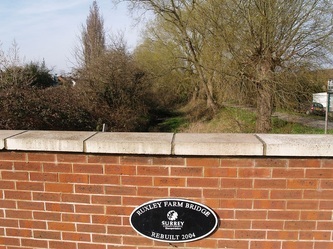 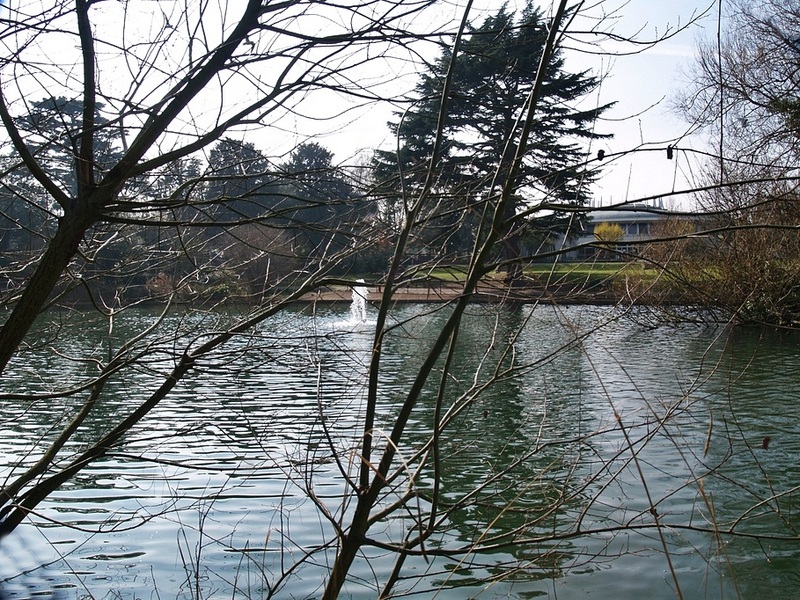 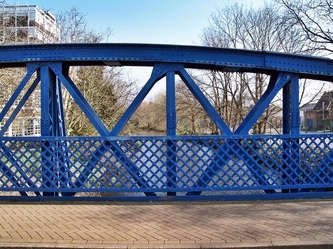 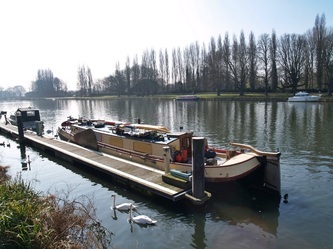 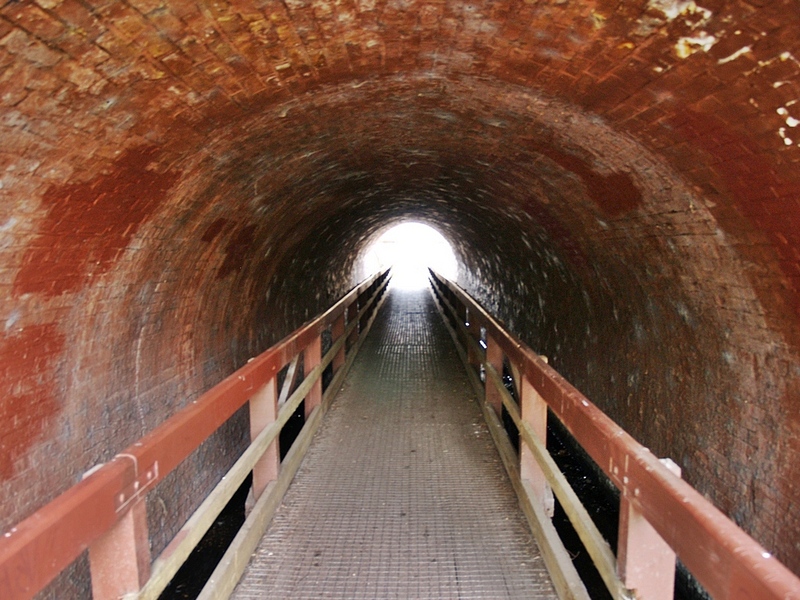 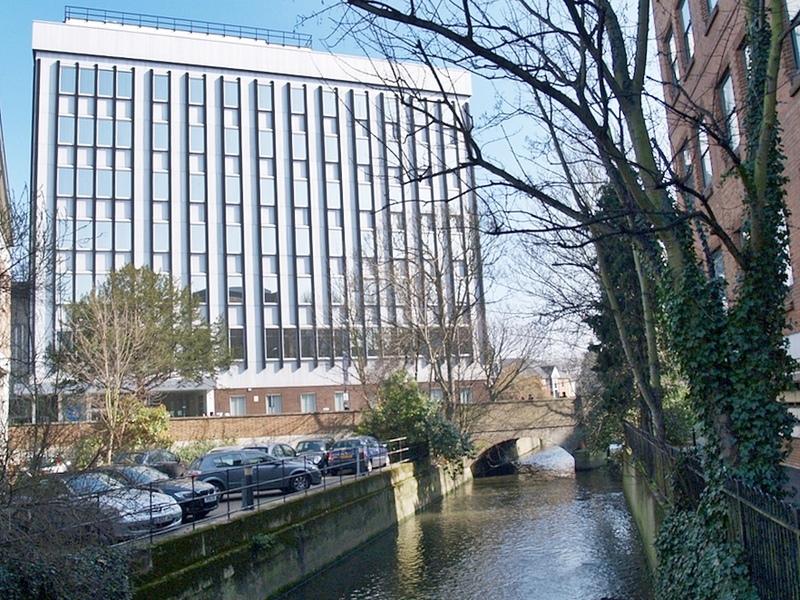 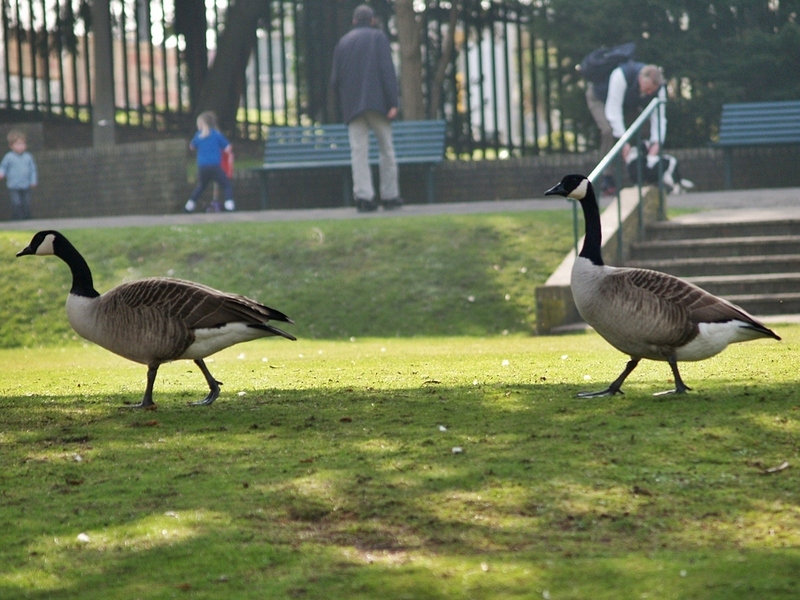 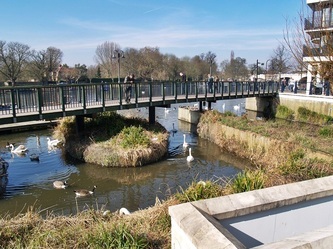 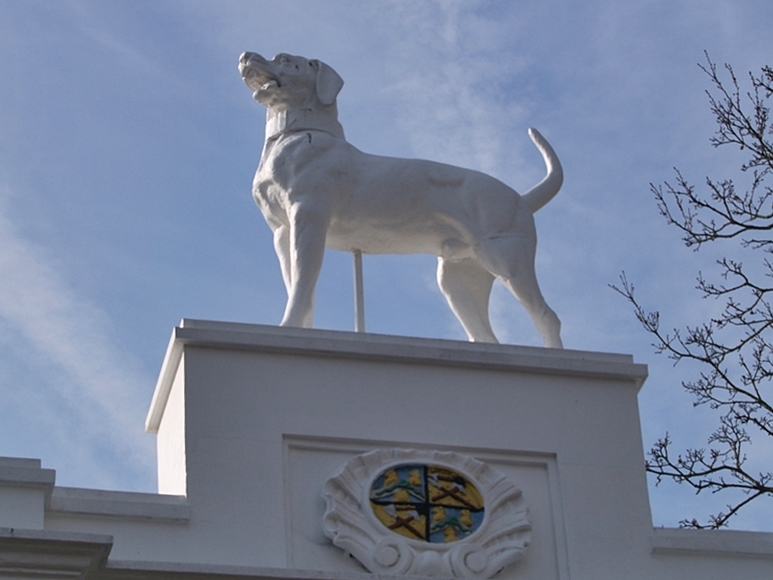 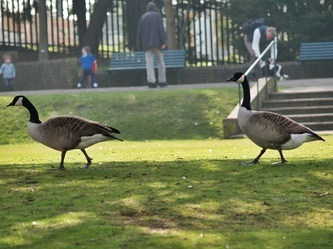 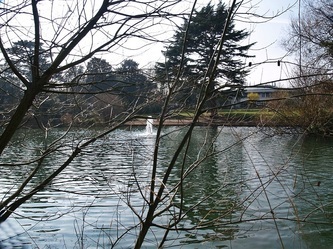 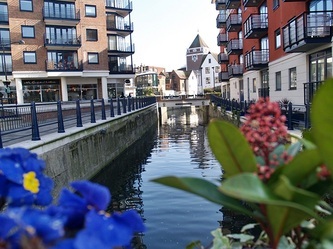 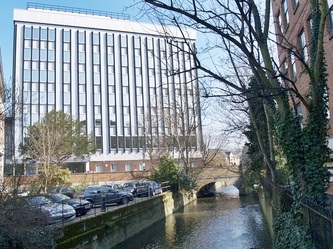 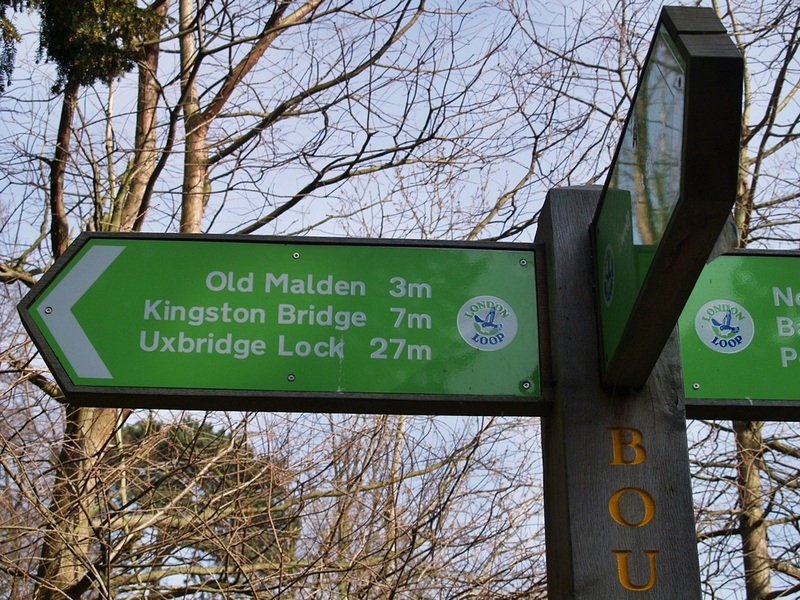 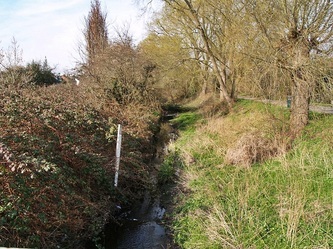 It flows in a northerly direction through Old Malden, New Malden and Berrylands to the River Thames close to the centre of Kingston upon Thames. 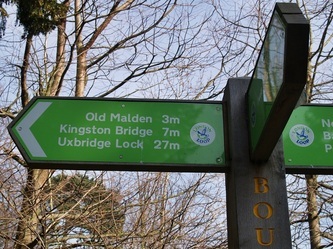 The river is approx 7 miles in length. The main river flows through much low-lying land, the majority of which is given over to sports grounds, until the final section through the built-up area of Kingston. 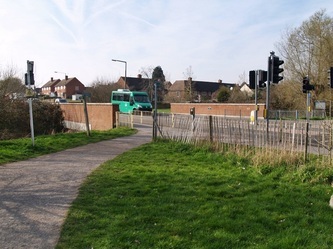 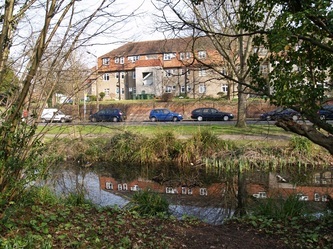 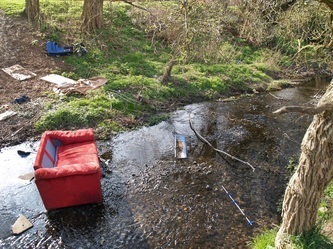 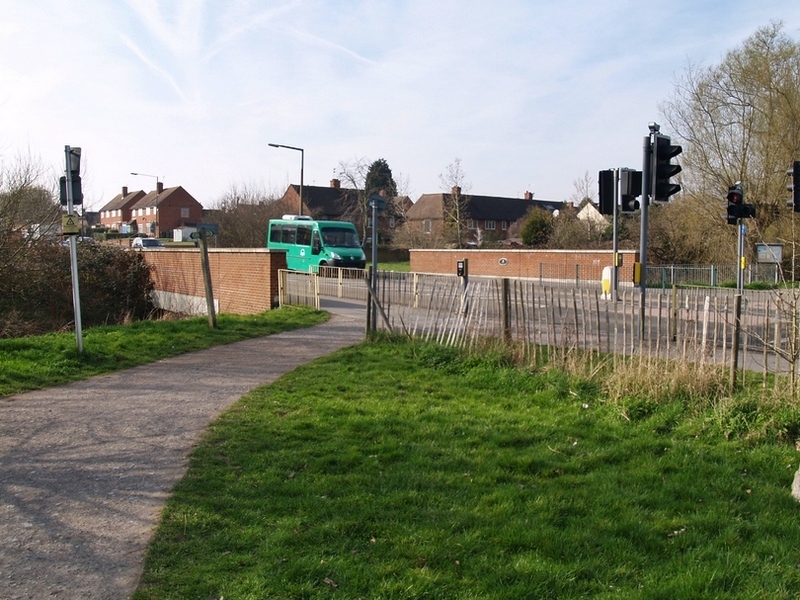 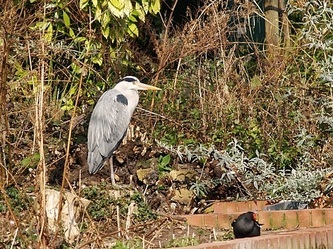 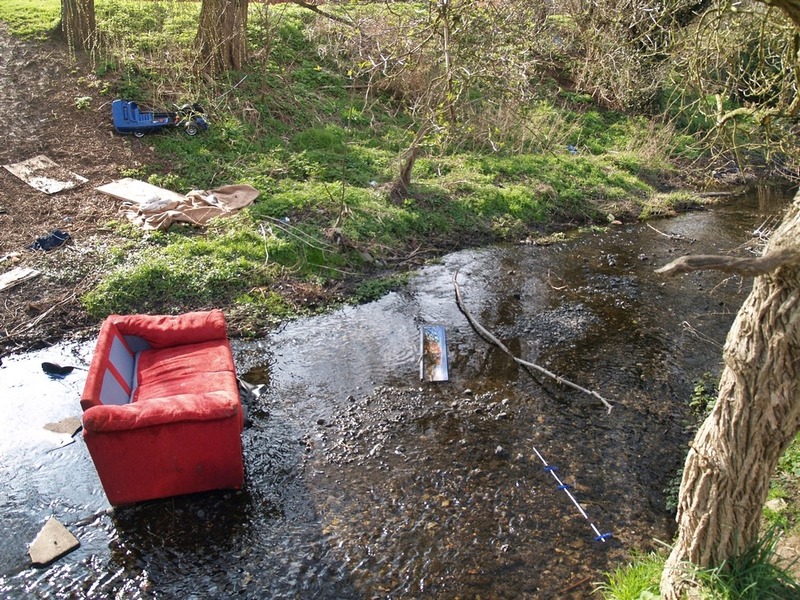 Epsom and Ewell borough council maintain the Hogsmill Open Space which follows the river until the boundary with Kingston. 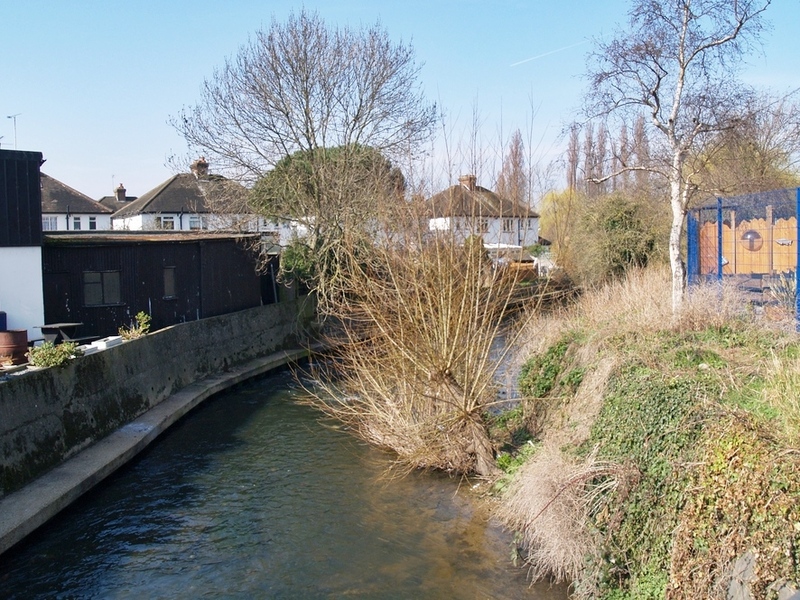 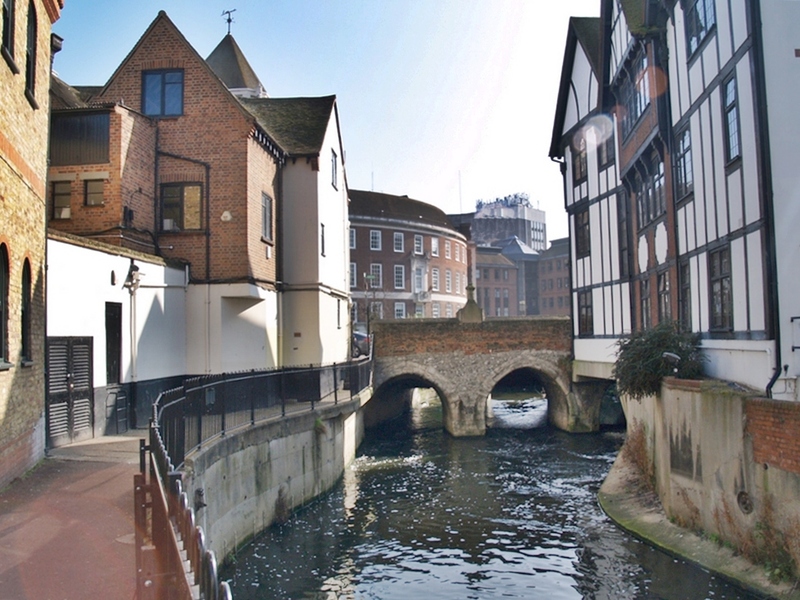 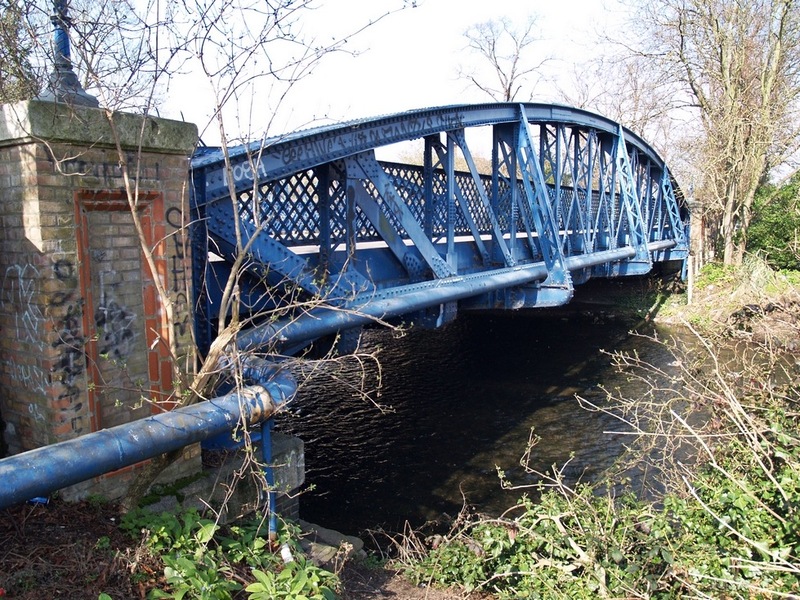 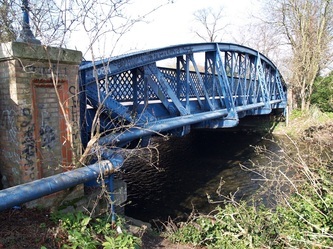 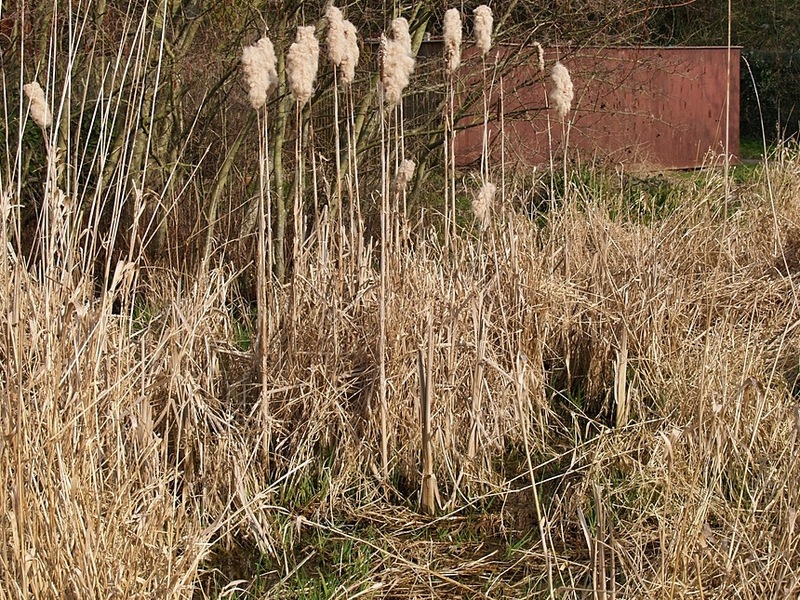 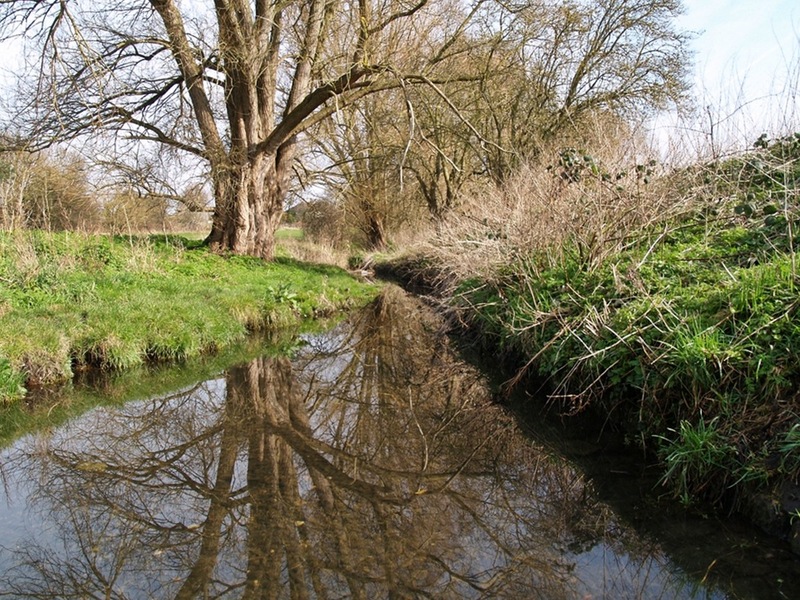 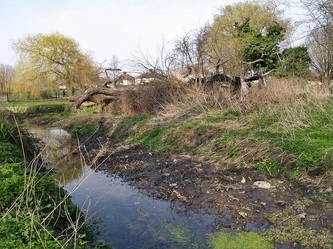 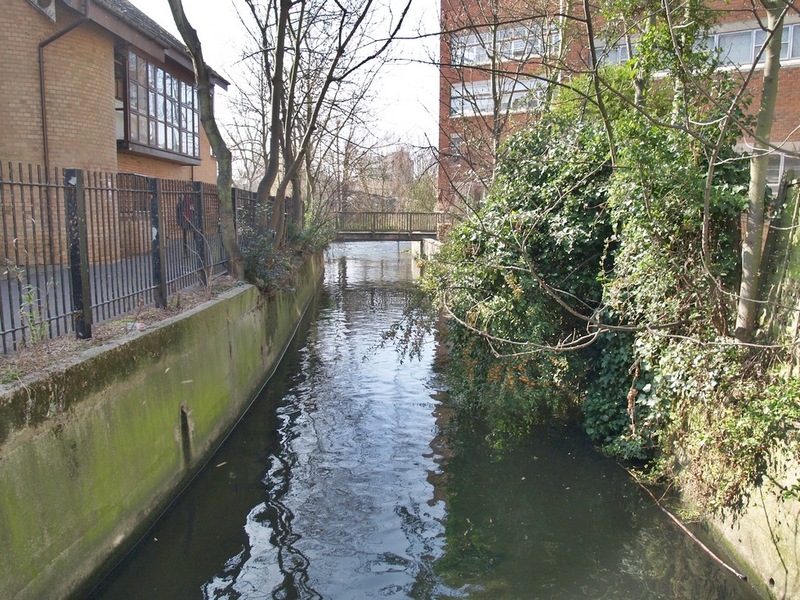 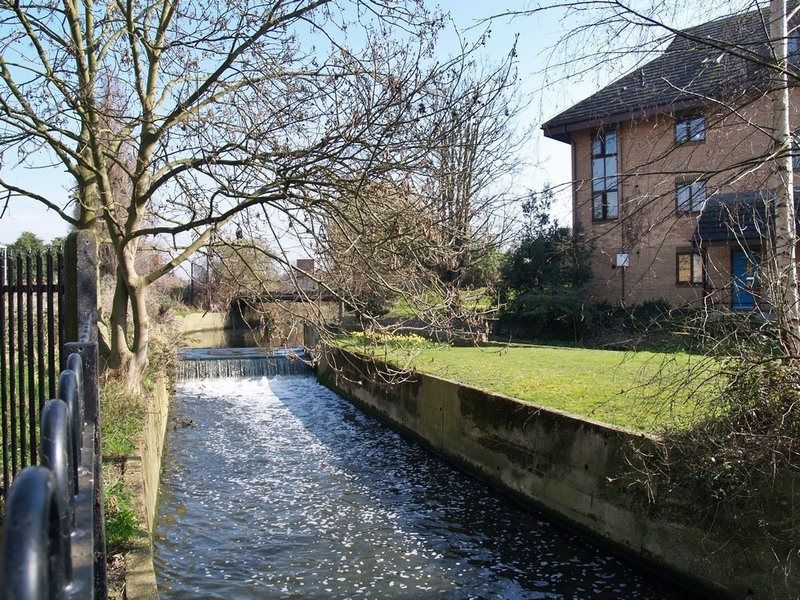 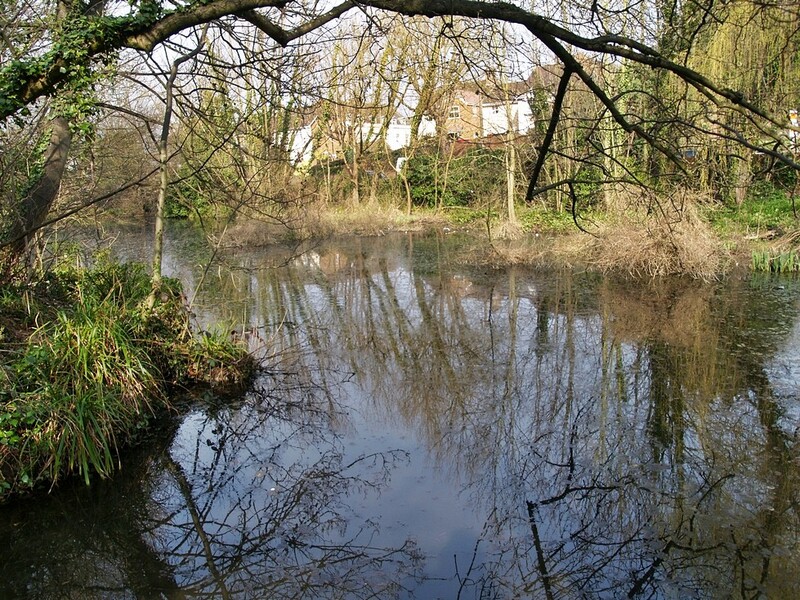 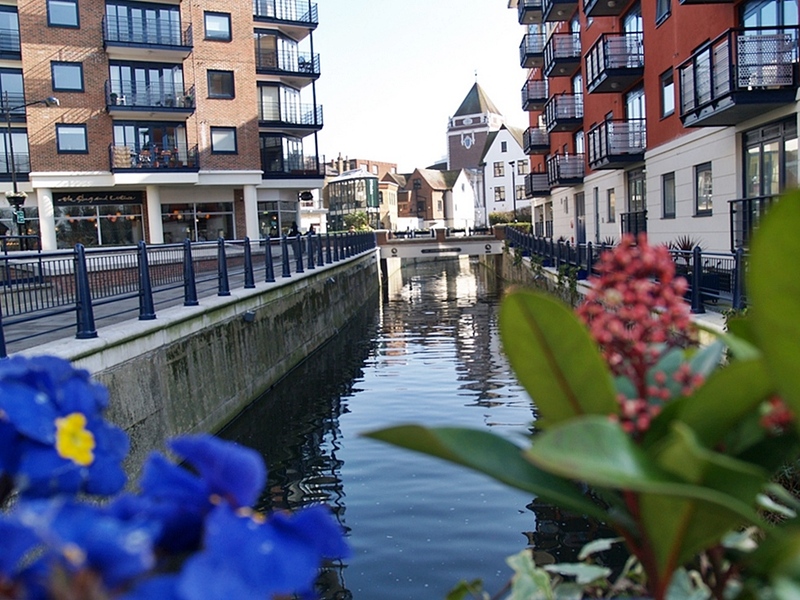 The name "Hogsmill" may come from John Hog, an important 12th century resident of Kingston Upon Thames. 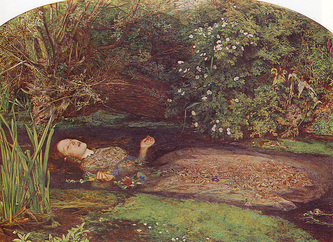 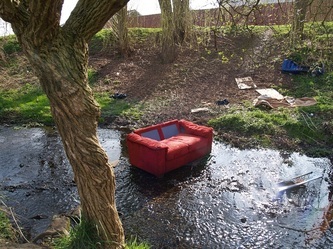 The Hogsmill has appeared in the art of Millais in his rendition of Ophelia - the play may have been in Denmark and the model in a bath, but the landscape was the Hogsmill near Ewell. 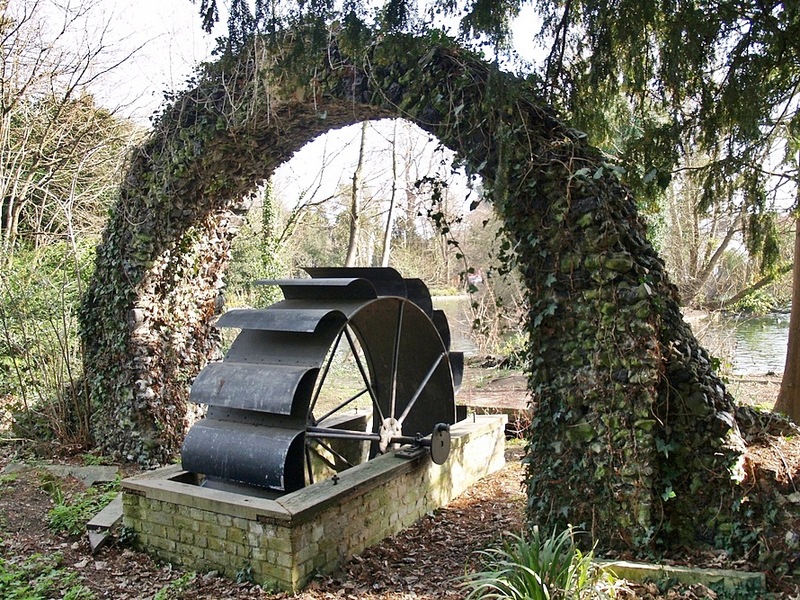 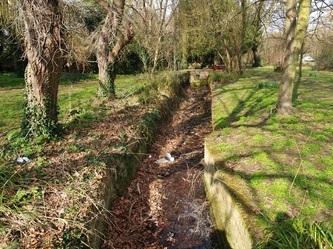 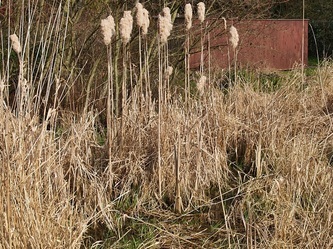 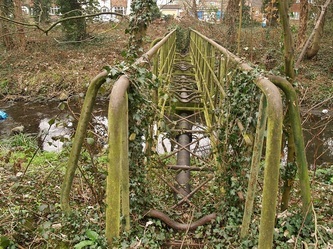 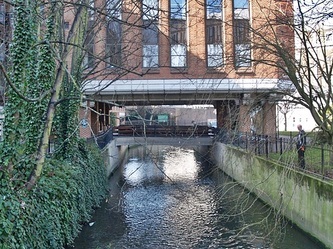 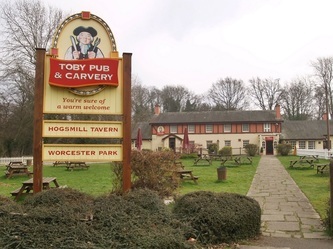 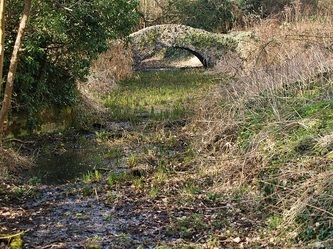 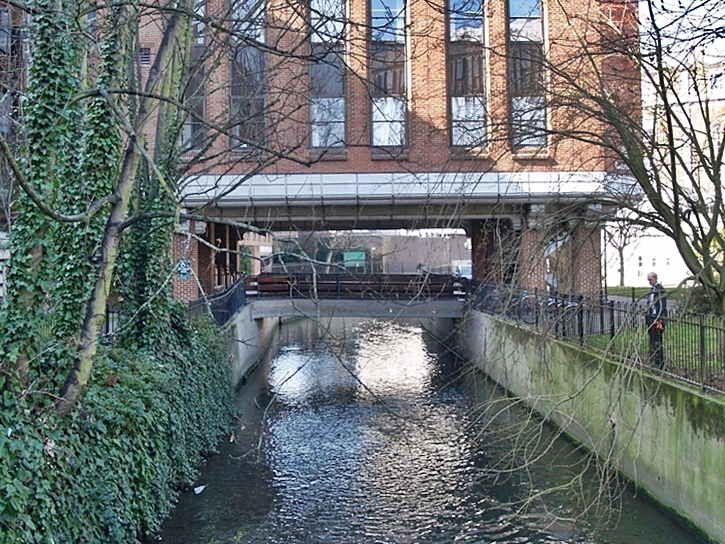 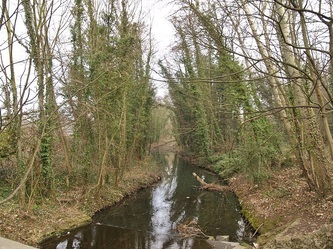 The Hogsmill is known for watermills, reputed to have produced gunpowder for the Napoleonic and American Civil Wars. 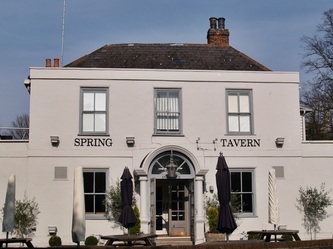 William the Conqueror is said to have "watered his horse" in the source waters near today's Spring Hotel. 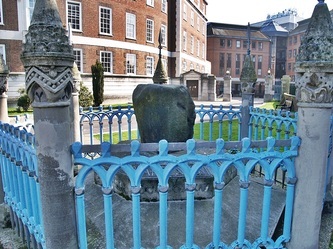 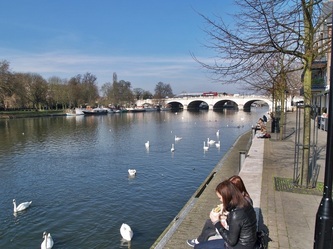 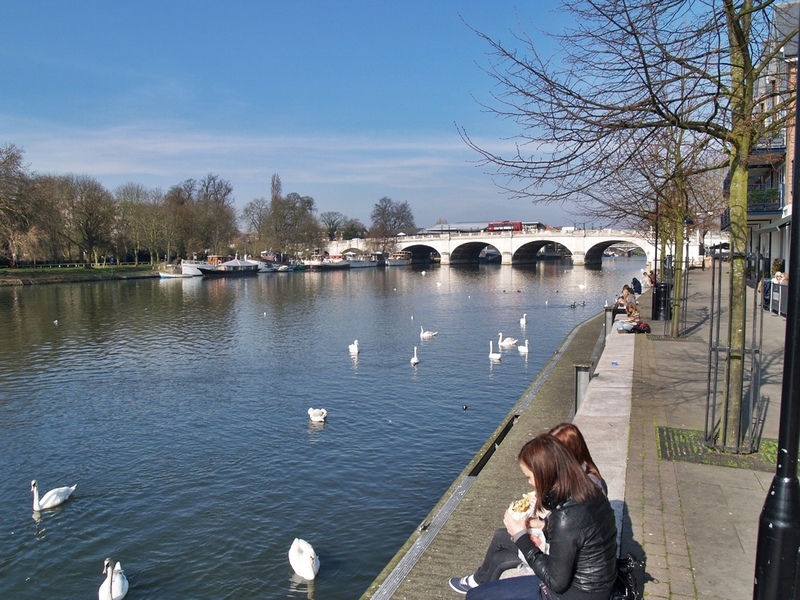 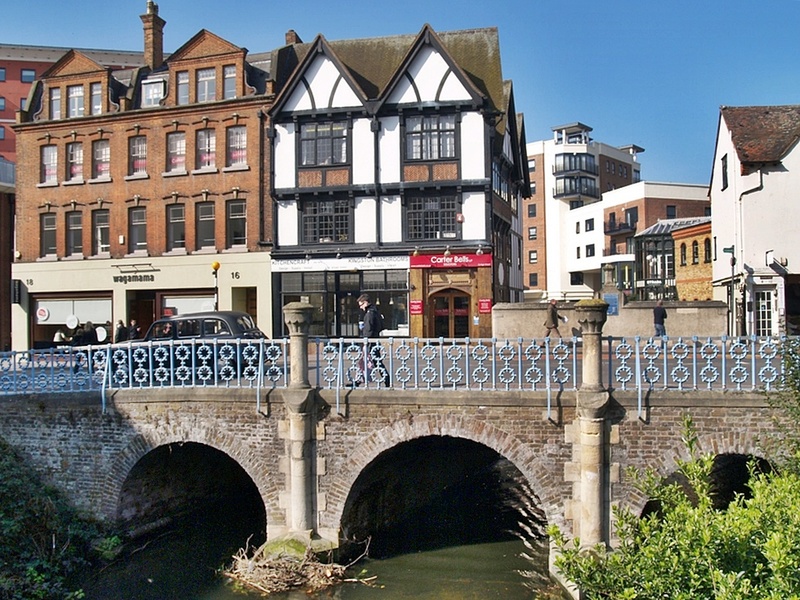 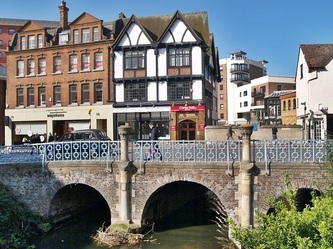 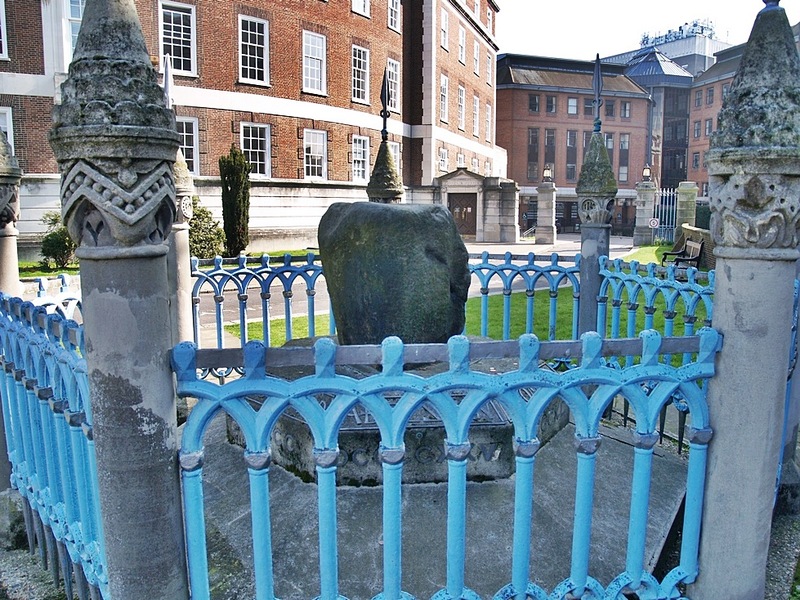 Other points of interest are the Coronation Stone beside the river in Kingston which was believed to have been used for the coronations of up to seven Saxon Kings and the adjacent Clattern Bridge has an original 12th Century structure and believed to be one of the oldest road bridges in Britain. 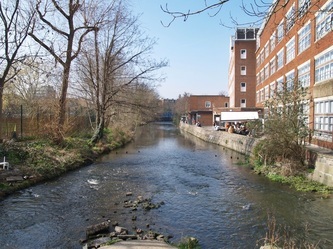 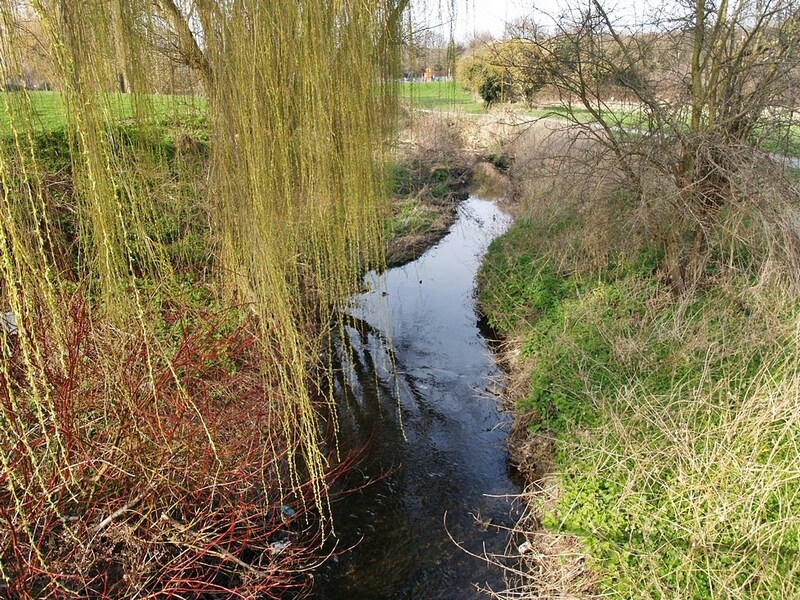 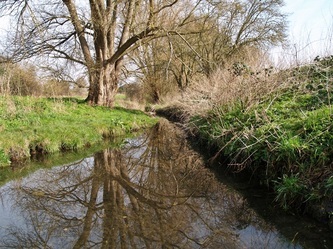 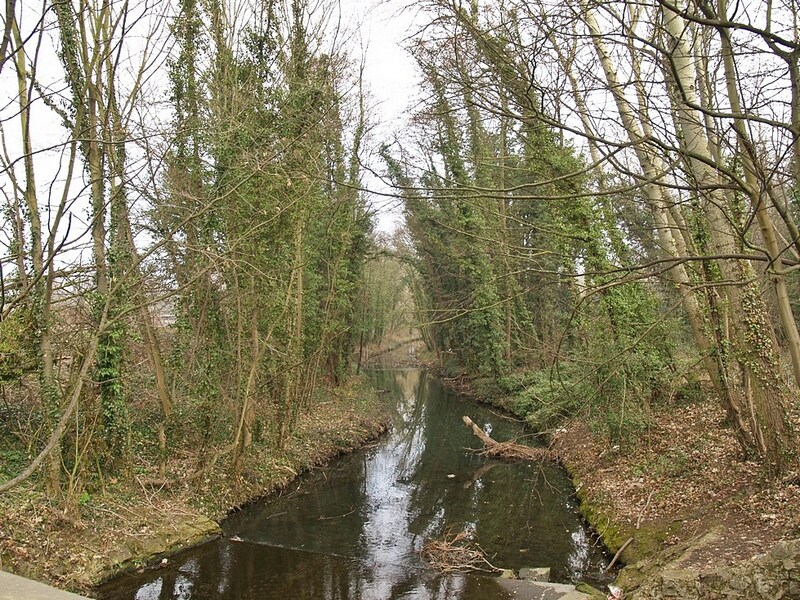 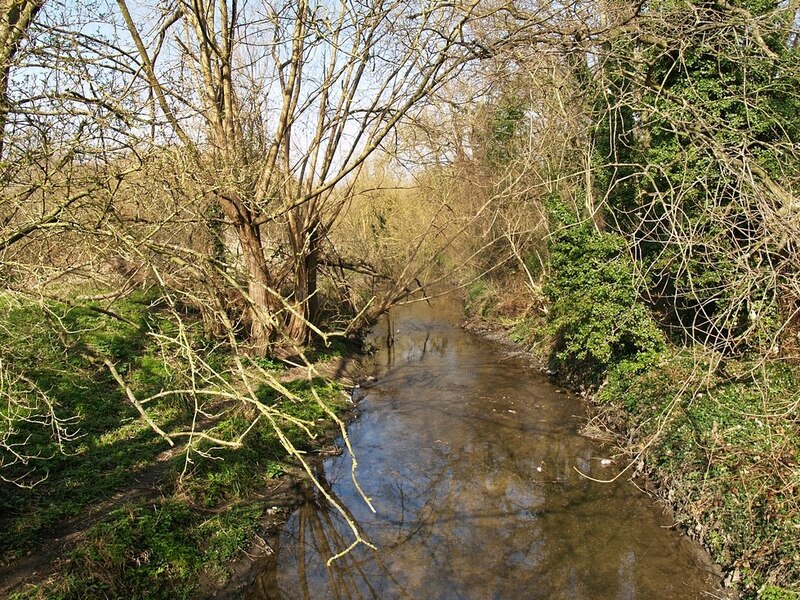 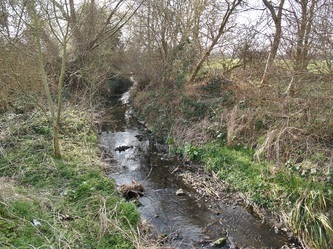 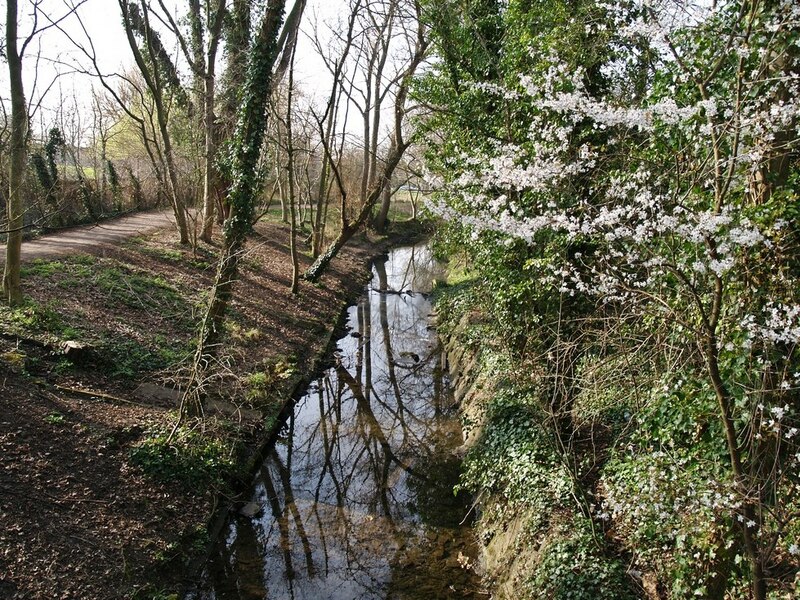 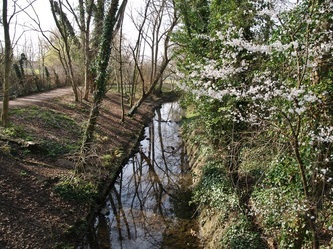 In past centuries the Hogsmill was a fast flowing river which provided a variety of mills including 12 gunpowder mills. The Worcester Park gunpowder mills on several occasions blew up. 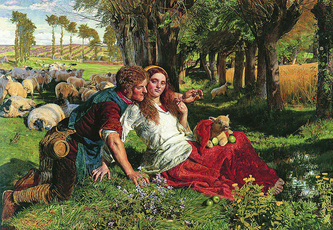 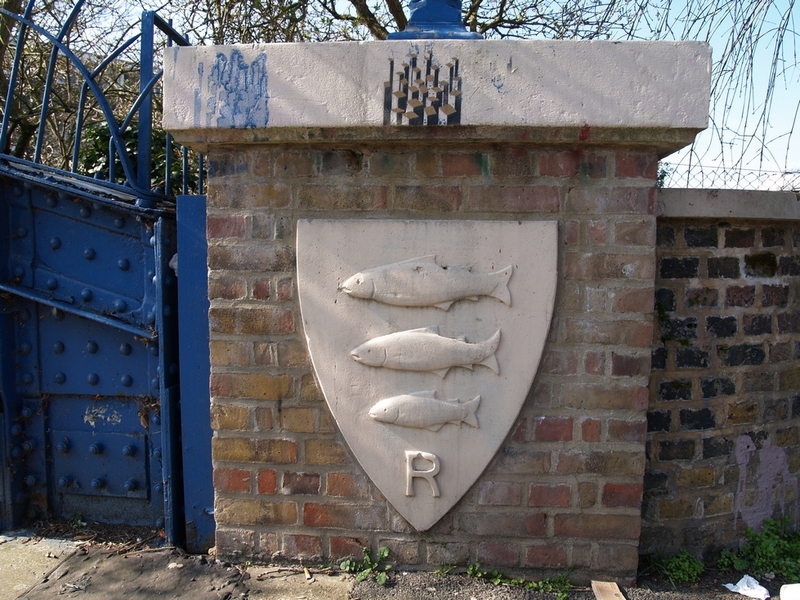 In 1851 it was the door of the derelict gunpowder huts near here which pre-Raphaelite artist William Holman Hunt used in his picture "The Light of the World". 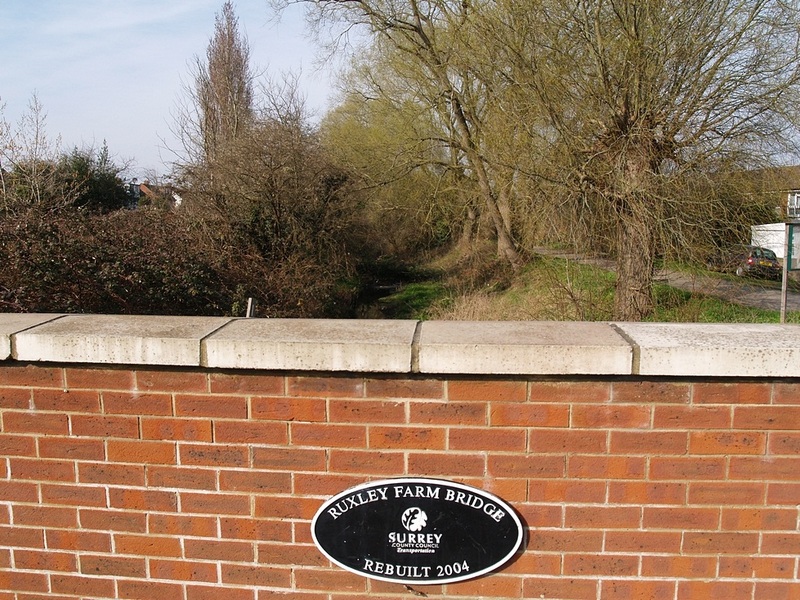 This mill is at the junction of three parishes and has variously been known as Malden, Long Ditton, Tolworth and Worcester Park mills. It was once run by the Evelyn Family (of John Evelyn, the diarist, fame). 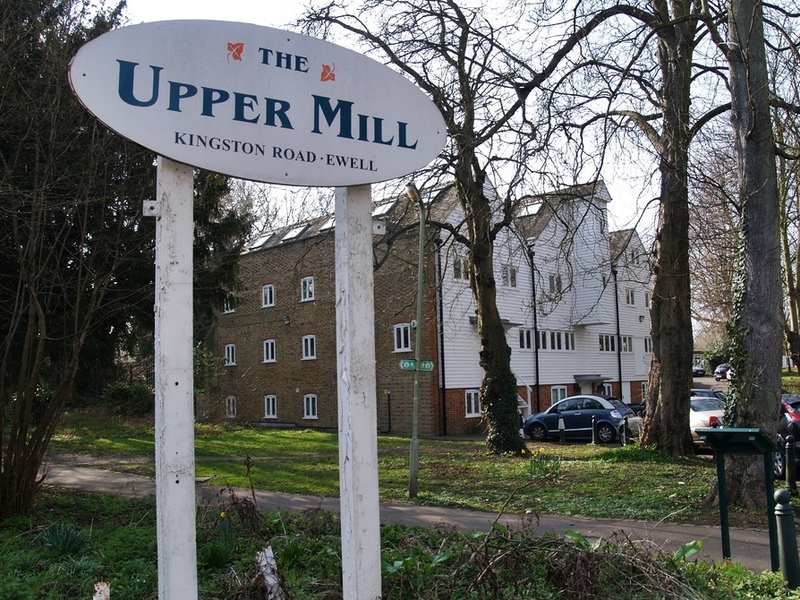 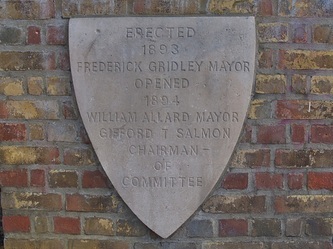 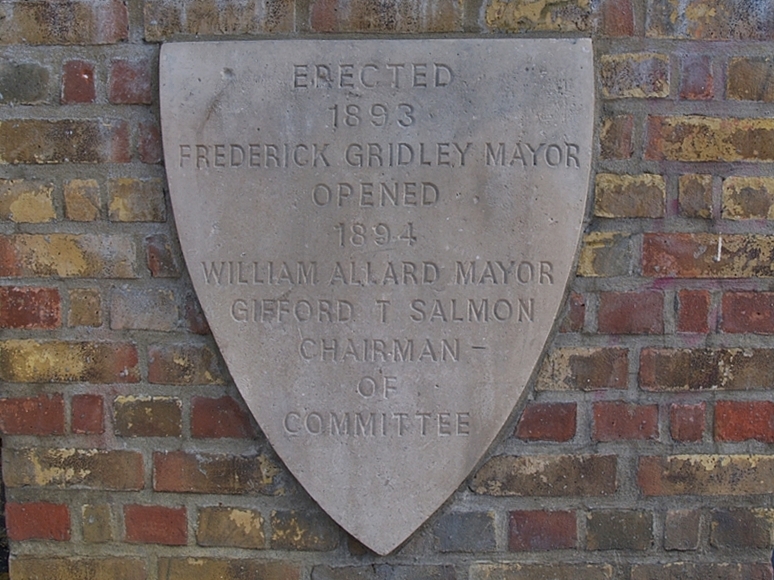 More recently, HG Wells, Jimmy Hill and ex-pm John Major also lived down the road.